The more time you spend vaping, the more you will want to get the best out of it. Vape pens are good for a start and as much as they allow you some degree of customization, the catch is always the wattage. Since most of them hardly go over 10-12 watts, the result is obviously a power deficit. But if you are looking for the best of both: power and customization, then you are going to find peace and satisfaction in using the best e cig mods. But as you can guess, not every vape is right for you. Our focus today is on class and to an extent, price. Cheaper mods are good because first, they are relatively cheap and secondly, they can get the job done well. But we also can’t afford not mentioning that they aren’t made out of the best available materials and that they could get unreliable after some time. High-end vape mods, on the other hand, are the exact opposite: made out of materials of superior quality, very reliable and of course, relatively expensive. Our list comprises of both regulated and unregulated top vape mods and we obtained it after multiple tests and sampling reviews from different vapers. It’s fair to admit that one of the best vaping experience your money can ever afford you lies with the Lost Vape Therion. Lost Vape, a reputable Chinese manufacturer is the brains behind it. It’s powered by the new and powerful DNA75C board which is not just accurate but a highly rated chip known for optimum responsiveness as well as efficient and multiple temperature control options. 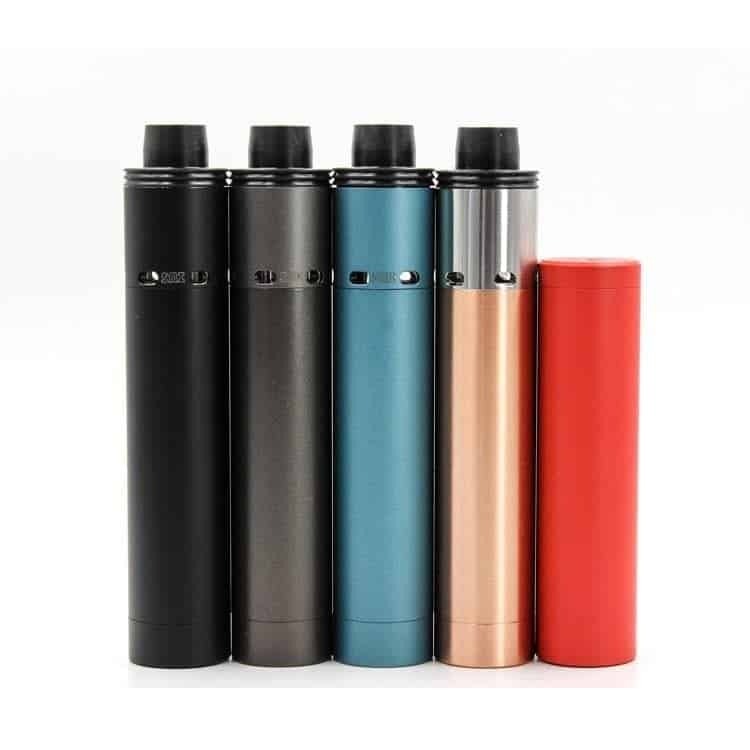 Thanks to its dual parallel configuration, the battery capacity is doubled which makes it last longer provided you don’t go beyond 70-75 W while vaping. Design-wise, its top comprises a 510 connector made out of stainless steel and thanks to its extra depth, you will be able to fit any atomizers of different measurements (22-25mm) on top of it. You can as well use it with different types of tanks and RDAs. Above all else, it doesn’t make any noise while in use and this includes while chain vaping. You can even use it while it’s charging, but we still recommend charging your batteries externally. However, this is one of the more safer boards to use when charging internally. Of all the reasons you could have for wanting to make a shift to a luxury vape mod, power is likely to take the top spot. And when it comes to that, the Flawless Tuglyfe 250w has just enough to fulfill your wish. You can power it all the way to 250w but keep in mind that this will need an equally high-end atomizer or tank. However, you can still vape at lower wattages if desired. Another unique yet powerful aspect of this is the temperature control function. You can set it to work between 200F-600F, not to mention that it can handle Stainless Steel, Titanium, and Nickel wire. You can even download the EScribe software and set up custom wire profiles. With such power, safety is definitely a huge concern to many and that’s why the unit was equipped with a couple of safety features that include low resistance protection, short circuit protection, temperature protection, and high current protection. Also worth mentioning is that the unit makes use of a DNA250 chip and for the uninitiated, this chip is recent and not just accurate but very reliable. 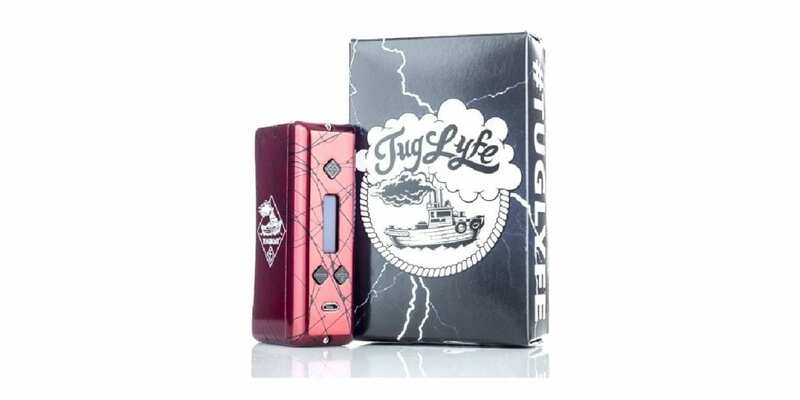 As for compatibility, expect the Flawless Tuglyfe DNA250 to work with a huge variety of tanks and atomizers. SX mini-series of mods are a favorite to many vapers and for good reasons. Many relish them for their superior chipsets and powerful construction. 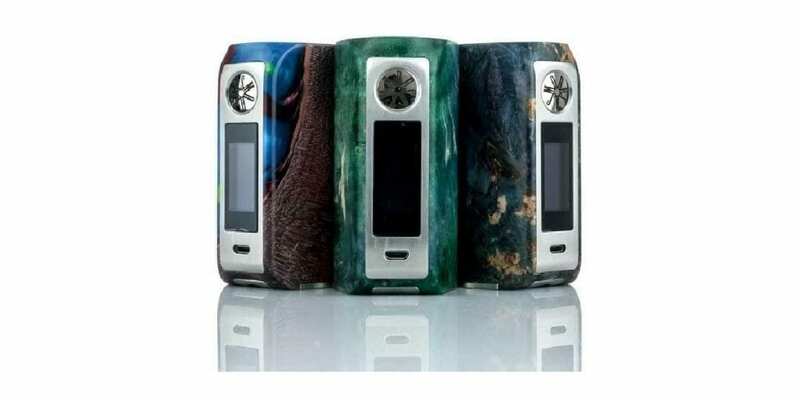 YiHI, the manufacturers of this mods, have made it a tradition to always use new mods to introduce their new chipsets. In this case, the G-Class 200w was used to introduce the SX 550J chip. You have the option to use its built-in power modes or make use of the bypass function which lets you bypass the regulation and use the unit essentially as a mechanical device. Another special feature worth mentioning about this unit is that you can use the SXi-Q software to customize the logo as well as the power curves. The SX mini G Glass is the second in its class to have a dual battery design implying that you have an extended battery life as well as higher wattage that goes up to 200 watts. Overall, the unit bears incredible temperature control and with its multiple configurations, you can switch between different atomizers while never going through the pain of setting it up again. In recent years, there have been plenty of changes in the e-cig industry resulting from new innovations. Dotmod takes the front seat in this movement as they have always fronted innovative products time and again. 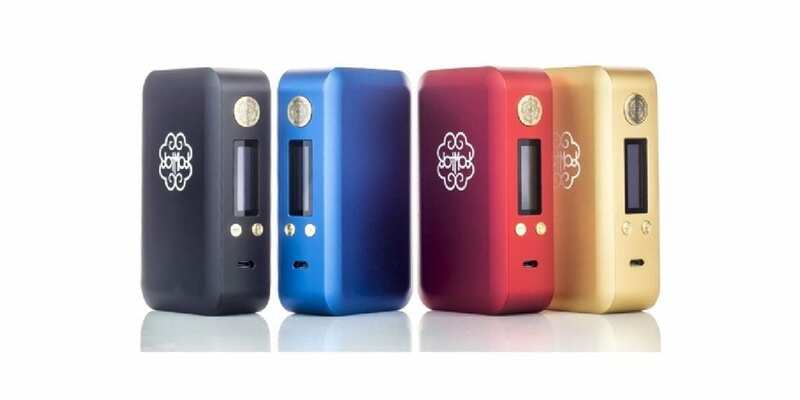 The new Dotbox V2 220w TC Box Mod is one of them and just as the name suggests, it takes the wattage to a whole new level of 200 watts with the minimum firing resistance set at 0.08 ohm. This vape mod is powered by 2 high drain 18650 batteries, which will surely grant you excellent battery life. Such huge power would definitely need some flexibility, and this is made by their proprietary dotChip technology, which lets you choose temperature ranges between 200F and 600F, and has an adjustable 3 memory TCR, which allows you to fine-tune your vape experience. Aesthetically speaking, it’s uniquely sleek and has an attractive body you wouldn’t mind showing off. The creativity behind it shows just how much effort was put to make it lead the pack. Every other function of this is pretty simple and straightforward and that makes it a perfect fit for beginners looking to discover a lot more about vaping. 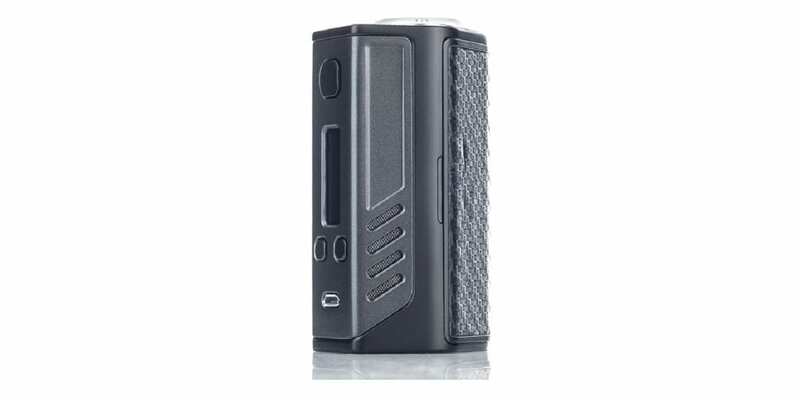 Just like the Flawless Tuglye 250w TC Mod, this vape also makes use of the DNA 250 chip and to add on to what we said earlier about the chip, it also happens to be the most advanced chipset so far from Evolve. At the touch of a button, you could have it go from 1 watt all the way to 250 watts. Evolve’s feature packed software suite also guarantees an incredible amount of customization for the user. Unlike the Flawless Tuglyfe which has an internal battery, this device requires 3 high drain 18650 batteries. And in addition to that, it features a spring loaded 510 pin and can accommodate 30mm atomizers meaning you can fit your different atomizers on it with zero issues. You can have up to 8 different profiles for different atomizers saved in this unit just so that you will not have to go through the pain of making adjustments each time you try a different atomizer or coil build. Also, you have the option to vary your temperature within 200F-600F. Lost Vape Triade is yet another mod featuring the accurate and reliable DNA250C chip but unlike every other DNA unit, it’s incredibly artistic and almost aesthetically unmatchable. Thanks to this DNA250C chip, you can outfit your atomizer and tanks with Titanium, Nickel, and Stainless steel, not to mention Kanthal. Like every modern mod, it comes equipped with a couple of temperature control options including temperature control, wattage control, EScribe software compatible, preheat, and many others. Most boards tend to develop serious issues after a while but thanks to the upgradable firmware on this unit, you can solve that easily by going for an upgrade. It also lets you use external batteries unlike what some other DNA 250C unit uses: internal and non-replaceable LiPo batteries. With its fine accents, fine leather battery cover and matched components, the Lost Vape Triade sets itself apart from other DNA 250 high-end vapes even though all of them share almost every other functional feature. Since it came into the scene, the TVL Colt 45 Mod has kept amassing a huge following and turning them into loyal fans for good reasons. First, it’s made in the USA and the great craftsmanship behind it coupled with quality metals and almost unmatched performance set it apart from its peers. It comes equipped with a hybrid 510 connection to allow for direct contact with the battery and thanks to the self-adjusting button, you will never at any point endure battery rattle. Do keep in mind with these style of devices, be sure to use atomizers with protruding 510 pins only! On top of that, expect a 20-pound spring which you could easily swap out with a magnetic version. If you are into different material options, there are a couple of versions for you to pick from and they include aluminum, black aluminum, black-copper, naval brass and stainless steel. Its stylish design features grooves to enable for firm handling. 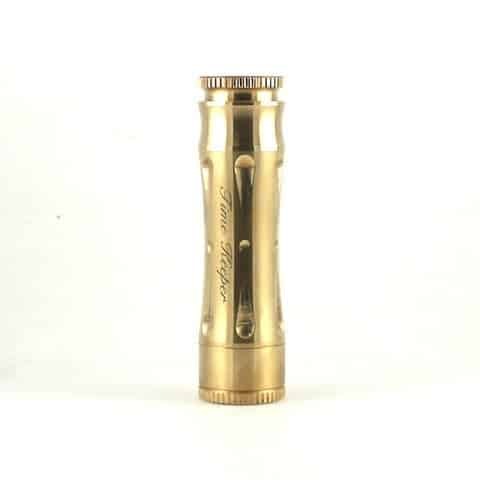 Time Keeper has to be one of Avid Life’s most well machined complete brass mod with class. It’s made and designed in the USA and comes with among other things a brass key switch, black disk, and black top cap. The hybrid top cap allows for direct connection between the battery and atomizer, so be sure to only use atomizers with protruding 510 pins. In addition, we do not recommend using sub ohm tanks on these style of atomizers. We also recommend understanding ohm’s law and battery safety. 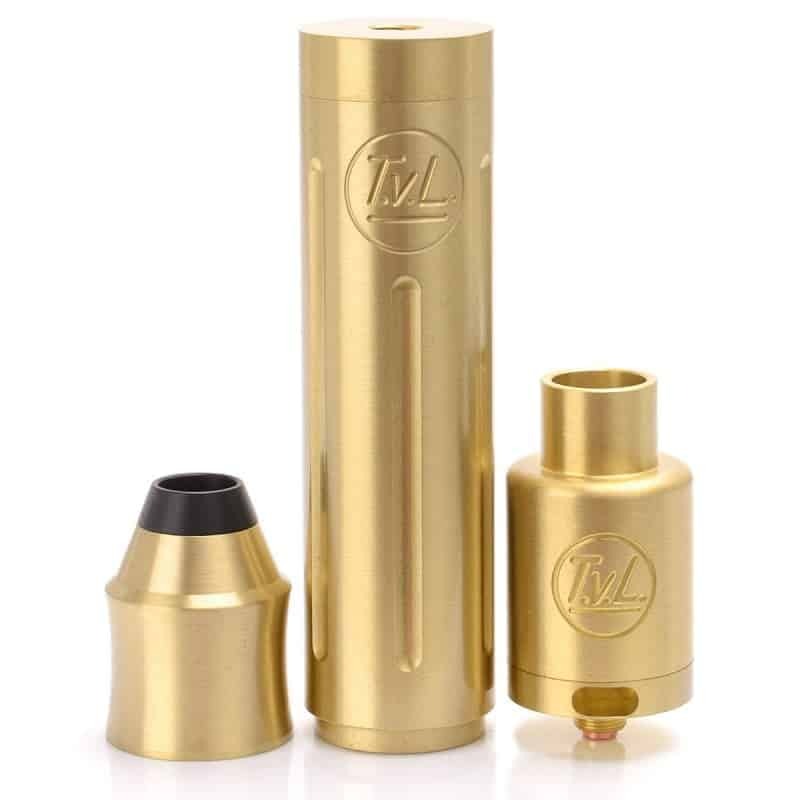 Before the Timekeeper, Avid Lyfe was best known for their classic Able mod which for the uninitiated, was one of the few that set a new standard for high-end mechanical mods. The Timekeeper hits just as hard and in fact, takes everything to a whole new level. It’s important to mention that the naval brass is made using quality CNC machines. Even its magnetic adjustable firing switch is made out of brass and aesthetically speaking, the Timekeeper is almost unmatched, thanks to its hourglass shape and stunning timekeeper engravings. Just to show you how confident they are in their product, the Timekeeper bears a lifetime warranty. So if you are after a combination of power, beauty, and functionality, the Timekeeper has you covered. It could be the most expensive vape but the value you get in return is definitely priceless. The Subzero Shorty mod is a compact mech mod made out of full copper. You could have it as a complete and pure copper or just a copper mod complete with a cerakote finish. It features Sub Ohm Innovation’s patented switch known for its short throw as well as the 8-point clutch system. The clutch system is an innovative feature and it allows for consistency and maximum conductivity. In addition to that, it allows for better battery venting which helps to put away potential catastrophic failures. Another great feature is the ultra-low voltage drop. If you are a competitive vaper, this is a feature you will find really helpful. Being a 24mm mod, it’s relatively heavy than average and shouldn’t a huge concern. You have the option to pick from a multitude of colors including red, black, gray, pink, tan, blue, tiffany, just to name but a few. Besides its unique design, the Asmodus Minikin 2 Kodama Edition is made out of stabilized wood which gives it class and a sense of elegance. With this, you can fire up to 180 watts and as you would guess, it also comes temperature control functions. 0.1 ohm is the set minimum resistance the unit can fire. For safety purposes, you have features such as the low and high voltage protection, low resistance protection, reverse battery protection, short circuit protection as well as overheating protection. It’s pretty easy to use the device as everything is simple and straightforward. This includes switching between temperature control and wattage. 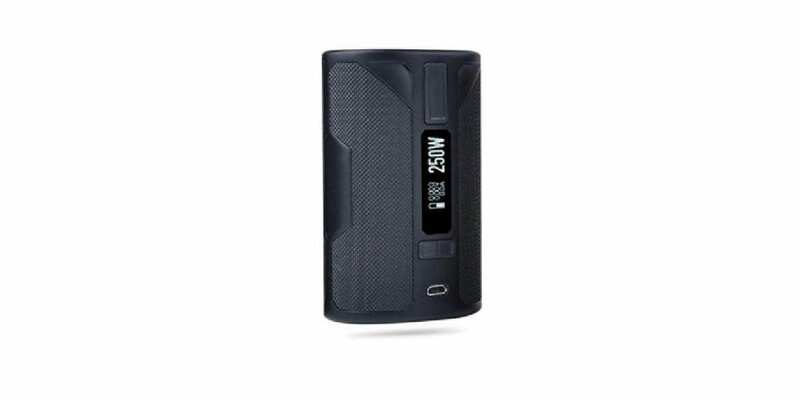 With the GX180HT Touch Screen Chipset, it offers a unique and easy to use touchscreen interface that offers tons of relevant information while vaping. With 2 high drain 18650 batteries, it can certainly last you all day without the need to change batteries. If you have some extra bucks you wish to spend on anything that could make your vaping experience memorable and beyond what you have experienced to date, getting yourself any of these is the best bet to turning that wish to reality. You will realize that the majority of the vape mods cost anywhere between $20- $80 but like we mentioned earlier, they have their own shortcomings. Well, our selection might cost beyond that but there’ a lot more to gain when it comes to power, customization, and the overall vaping experience. Note that the performance of a mechanical mod is very much different from that of a regulated one and may not be a good option if you are a beginner. But if you are determined to use one, ensure you familiarize yourself with ohm’s law and ensure you are using decent and reliable batteries. 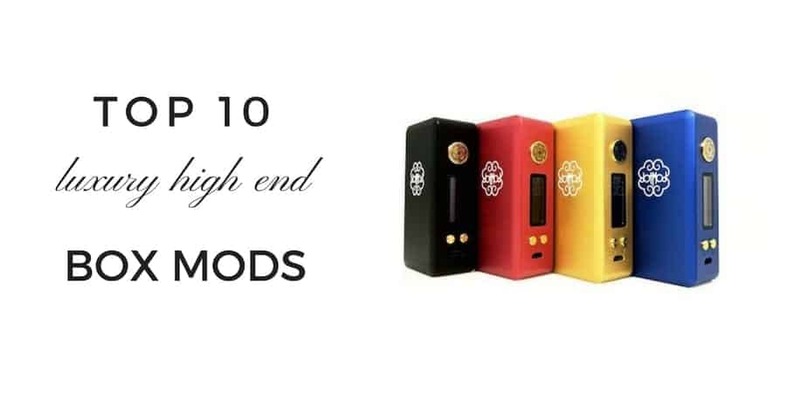 As for the regulated mods, most of them are pretty easy to use and besides, if you run into any challenges while using them, you can always refer to the manual for guidance or better yet, check out this link for more info on regulated mods.